The suit alleges a scheme in which IAC and Match manufactured a "lowball" valuation of Tinder and then "extinguished Tinder stock options entitling the employees to valuations in 2017, 2018, 2020 and 2021"
The Tinder app logo is seen on a mobile phone screen in this Nov. 24, 2016, file photo. A group of founders, executives and early employees of Tinder filed suit against the dating app's owner IAC and its subsidiary Match Group. The suit alleges IAC & Match "robbed Tinder employees by manipulating financial information," ultimately stripping away their stock options. "The defendants made contractual promises to recruit and retain the men and women who built Tinder," said a lawyer for the plaintiffs. A group of founders, current executives and early employees of Tinder sued the dating app's owner IAC and its subsidiary Match Group for at least $2 billion, claiming the defendants "robbed Tinder employees" by cooking financial information, "undermining Tinder's valuation and unlawfully stripping away their Tinder stock options." Plaintiffs in the case filed in New York State Supreme Court in Manhattan include Tinder's founders Sean Rad, Justin Mateen and Jonathan Badeen, as well as three currrent senior executives. IAC had no immediate comment on the lawsuit. The suit alleges a scheme in which IAC and Match manufactured a "lowball" valuation of Tinder and then "extinguished Tinder stock options entitling the employees to valuations in 2017, 2018, 2020 and 2021," which let the defendants pocket the money that otherwise would have been owed to the plaintiffs. "We were always concerned about IAC's reputation for ignoring their contractual commitments and acting like the rules don't apply to them," said Rad, Tinder's first CEO. "But we never imagined the lengths they would go to cheat all the people who built Tinder. The Tinder team – especially the plaintiffs who are currently senior leaders at the company – have shown tremendous strength in exposing IAC/Match's systematic violation of employees' rights." "The allegations in the complaint are meritless, and IAC and Match Group intend to vigorously defend against them," the companies said. "Since Tinder's inception, Match Group has paid out in excess of a billion dollars in equity compensation to Tinder's founders and employees. With respect to the matters alleged in the complaint, the facts are simple: Match Group and the plaintiffs went through a rigorous, contractually - defined valuation process involving two independent global investment banks, and Mr. Rad and his merry band of plaintiffs did not like the outcome." "Mr. Rad (who was dismissed from the Company a year ago) and Mr. Mateen (who has not been with the Company in years) may not like the fact that Tinder has experienced enormous success following their respective departures, but sour grapes alone do not a lawsuit make. Mr. Rad has a rich history of outlandish public statements, and this lawsuit contains just another series of them. We look forward to defending our position in court." In addition to other claims, the suit accuses IAC and Match of designating Greg Blatt, Match's chairman and CEO, as interim CEO of Tinder in December 2016 to allow them to "control the valuation of Tinder" as stock options for Tinder employees were set to be valued. Blatt is referred to in that complaint as "a longtime lackey of IAC's controlling shareholder Barry Diller," who "had a well-earned reputation as a notorious bully with a volcanic temper and a habit of threatening to fire employees who contradicted him." The suit also accuses Blatt of groping and sexually harassing Tinder's vice president of marketing and communications, Rosette Pambakian, at Tinder's 2016 holiday party in Los Angeles. Pambakian is one of the plaintiffs in the lawsuit. "Because a credible investigation — let alone a firing in public view — would have derailed their scheme, Defendants whitewashed Blatt's misconduct," the suit alleges. "But just two weeks after their scheme concluded, Defendants publicly announced Blatt's 'retirement' — rewarding him with a lucrative golden parachute and a glowing farewell message from Diller praising Blatt's 'integrity,' " the complaint says. 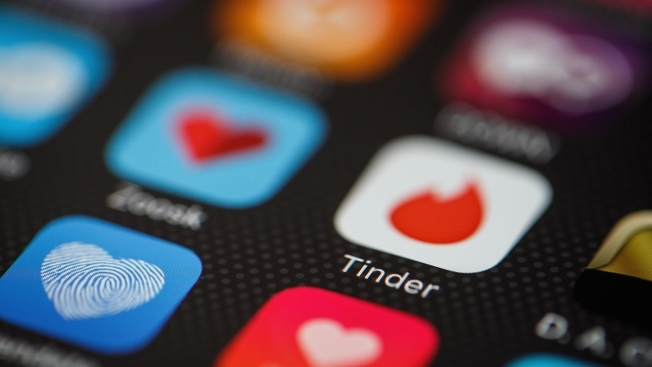 Blatt and other IAC and Match executives are accused in the suit of creating "false financial projections, inflating Tinder's expenses and investing an alternate universe in which Tinder was stagnating toward freefall." The execs allegedly delayed and concealed the impact Tinder's new products and features would have "even though existing data already confirmed those products would supercharge Tinder's profits." Orin Snyder, a lawyer for the plaintiffs, said, "This is an open-and-shut case. The defendants made contractual promises to recruit and retain the men and women who built Tinder." "The evidence is overwhelming that when it came time to pay the Tinder employees what they rightfully earned, the defendants lied, bullied, and violated their contractual duties, stealing billions of dollars. A jury will now hold the defendants responsible for their multibillion-dollar theft."